Today marks International Human Rights Day – a day observed each year to commemorate the adoption by the UN General Assembly of the Universal Declaration of Human Rights in 1948. This landmark document was the first global enunciation of the rights of all human beings, enshrining the principles of equality and non-discrimination in the realization of these rights, which are to be extended to all regardless of nationality, religion, ethnicity, gender, or legal status. We dedicate this day to those who have lost their lives crossing borders in their attempts to realize the rights to which we are all entitled as human beings. On this important day, we are called to reflect on how far the international community has come since 1948, and to speak out in solidarity with those who remain unable to see their fundamental rights realized due to political, social, and economic instability and oppression, and due to policies based on xenophobia, intolerance, and discrimination. We dedicate this day to those who have lost their lives crossing borders in their attempts to realize the rights to which we are all entitled as human beings. 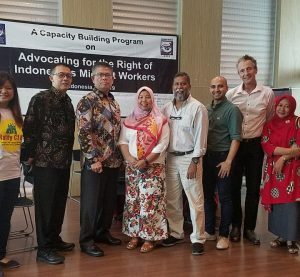 This past year, we witnessed too many lapses on the part of states to uphold and protect the human rights of migrant workers, with migrant workers becoming stranded outside of their home countries as a result of political upheaval and natural disasters. In the Arab World, hundreds of thousands of migrant workers were unable to be evacuated and repatriated, many forced to wait for days and weeks at a time at ports of exit, waiting for passage to safe countries and for evacuation plans to be drawn up by their home countries. 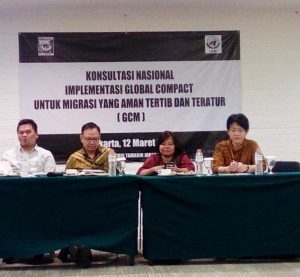 The deaths of those migrants attempting to flee from areas affected by the uprisings speak to the need for migrant sending states to have emergency plans in place for the repatriation of their nationals deployed abroad for work. The tsunami and nuclear disaster in Japan and the unprecedented flooding in Bangkok resulted in the displacement of hundreds of thousands of people, including migrant workers, yet migrant workers were the last considered in state disaster responses. Many remain stranded, with their home countries having no plans in place for their reintegration, with their livelihoods devastated, and with no hope of assistance on the part of their host states due to their non-citizenship. Crackdowns on irregular migrants continue to violate the rights of migrant workers all over the world. Constantly denied their inalienable human rights on the basis of legal status, these workers are at constant risk of arrest, detention, and deportation, and are criminalized, harassed, and exploited through all stages of the migration process.Resolution 3499 of the UN General Assembly (1975) affirms that no human being is illegal. Regardless of their immigration status or nationality, all migrants have inalienable human rights that states are required to respect and uphold in the exercise of their sovereignty over all who reside within their geographical jurisdiction. In the absence of a true commitment among states to uphold the principles of equity and non-discrimination that are enshrined in all international human rights instruments, we must work to build the migrant rights movement in solidarity with other social movements around the world to challenge the systems that prevent the realization of human rights for all.